A simple introduction to the game, intended to teach new and struggling players about the mechanics, while preserving most of the mystery. The single most important piece of advice I can give to a new player is: Learn the language of the game. 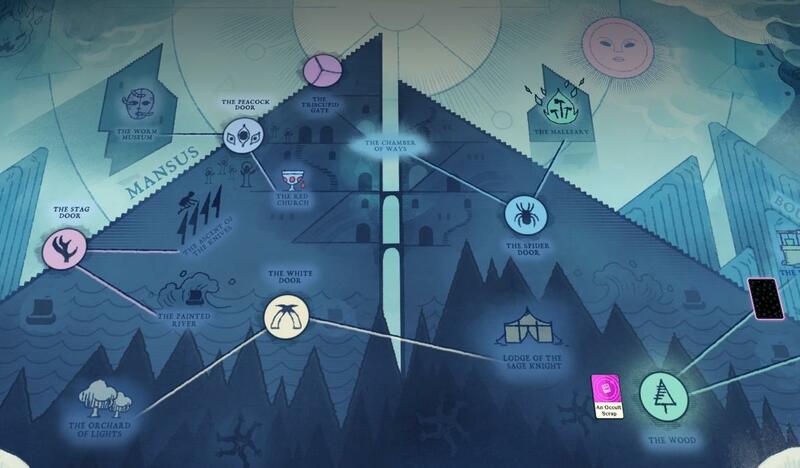 Cultist Simulator is a very mechanical game, and when you understand how the parts fit together, it will be much easier to progress. First things first, click on a card. All the bits in the lower right, under the text in the box, are called Aspects, and they're most of how the game handles cards. There are a few places where it will ask for specific cards, but mostly cards are handled via these Aspects. Next, click on any of the tokens (Verbs, from here on in) that aren't currently running, and click on the black space where a card should go. This will tell you all of the aspects allowed into the slot (everything next to the checkmark), and anything specifically disallowed (next to a red X, if any). I cannot stress this enough, if you ever feel lost in the game, let your timers run down, pause the game, and click everything. Every icon, every blank space, every card, every verb. Learning how the pieces click together will make the game much easier. As you play the game, you'll see random verbs appear from various spots. Most of these are called Seasons, and they're random events that come from Time Passing. You can check what you will get next by clicking on the Time Passing verb (the orange hourglass), and looking in the bottom right corner. Most of these are self-explanatory, but one in particular, the Season of Ambitions, has a role that is not obvious at the start of the game, since it will come into play later. Most of the Seasons just have fluff text, but you'll want to read Ambitions closely if you need hints. There is a second variety of random verb, called Inductions. These are the verbs that have a lantern, moth, heart, etc as their label. These appear, with a low chance, whenever another verb finishes and contains the relevant principle. A Light in the Skull, which has the lantern label, will randomly appear whenever a verb ends while containing some Lantern principle. These are fairly rare and unreliable, but they can be a nice bonus. You will need to take risks to advance, especially in the early game. Don't worry about dying, after death you can begin again with an advantage. You should use your first game to experiment, but you likely won't get very far. Your second time will go much better. For the Riddle of the Stag Door, you require a lore card of exactly 6th order (6 points of the lore's principle, knock, edge, winter, etc), which will be directly referenced by the text of the card. When you have a card you want to try, dream with the Riddle and insert the card. A correct answer will open the gate, and you'll be done! Otherwise, go back and keep studying. One free hint, the riddle "What must open, before this way opens?" is a bit harder than the others, and will require exploring or use of the lore subversion mechanic before you can answer it.